It’s clear that, for decades now, American workers have been falling further and further behind. And there’s simply no justification for this sorry state of affairs—nothing that can rationalize or excuse the growing gap between the majority of people who work for a living and the tiny group at the top. But that doesn’t stop mainstream economists from trying. 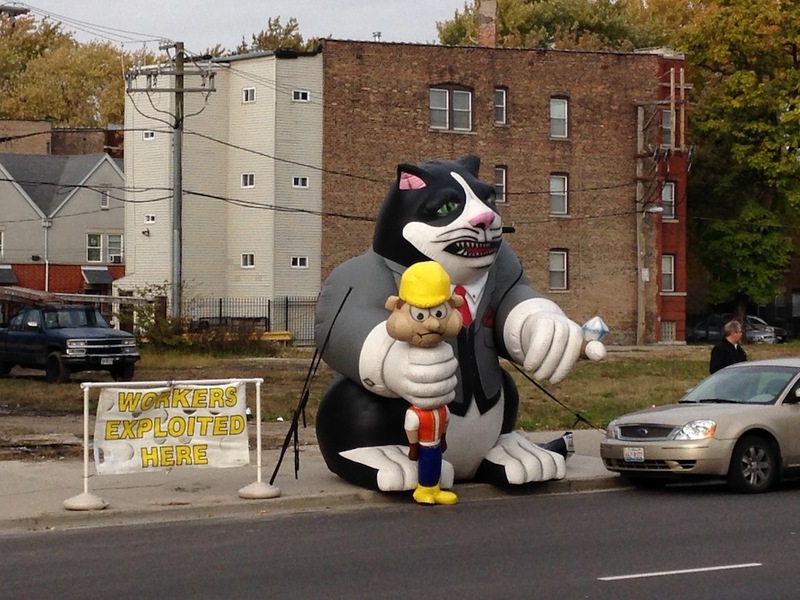 Look, they say, American workers are clearly better off than they were before. Both real weekly earnings (the blue line in the chart) and the median household income (the red line) are higher than they were thirty years ago. There’s no denying that, on average, the absolute level of worker pay and household income has gone up. That’s proof, mainstream economists argue, that workers are enjoying the fruits of their labor. The problem, though, is that the increase in workers’ wages (the blue line, the same as in the previous chart) pales in comparison to the rise in labor productivity (the green line in the chart above): since 1987, real wages have gone up only 8 percent, while productivity has grown by 75 percent. In other words, American workers are producing more and more but getting only a tiny share of that increase. It should come as no surprise, then, that the wage share of national income (the purple line in the chart above) has fallen precipitously—by 8 percent since 1987 and by 16.5 percent since 1970. American workers are in fact experiencing a relative immiseration compared to their employers, who are able to capture the additional amount their workers are producing in the form of increased profits. Moreover, American employers have every interest—and more and more means at their disposal—to continue to widen the gap between themselves and their workers. 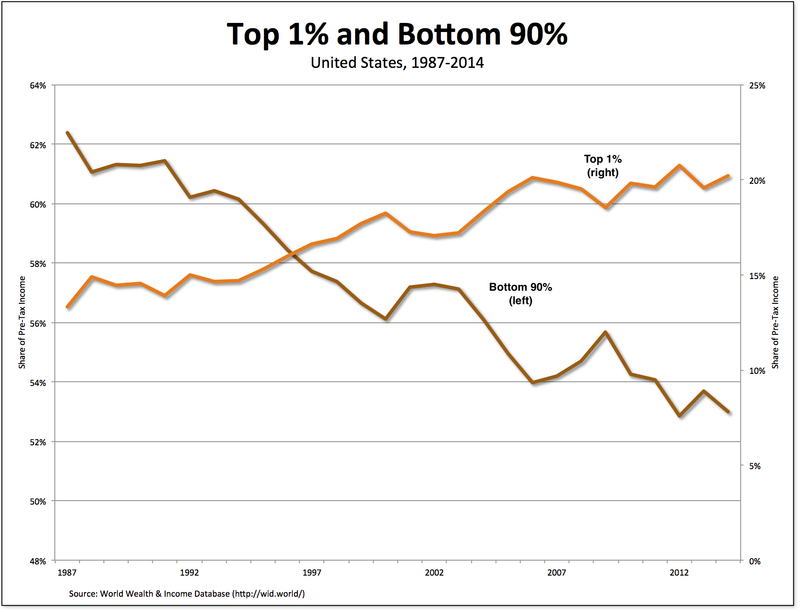 Not surprisingly, the relative immiseration of American workers shows up in growing inequality—with the share of income captured by the top 1 percent (the orange line in the chart) increasing and the share going to the bottom 90 percent (the brown line in the chart) falling. Each is a consequence of the other. American workers are getting relatively less of what they produce, which means more is available to distribute to those at the top of the distribution of income. There’s nothing just about the relative immiseration and growing inequality faced by American workers. And nothing that can’t be changed by imagining and creating a radically different set of economic institutions. It’s so sad that the real people behind the success of the industry are the ones not getting enough credits for their work. Hope this difference minimizes and the workers are paid adequately.